You’ve heard of the “Maddux”; a complete game shutout thrown by a pitcher with less than 100 total pitches. In honour of Roy Halladay, there should be a new achievement for a starting pitcher called the “Halladay”; a complete game thrown in under two hours. Not only was Doc the master of going the distance during his starts, but he worked so quickly that folks were home in time to tuck their kids into bed the nights of his starts. In an era when games are going longer than ever before, it was a true treat to watch Halladay work every five days. A MLB game completed in under two hours is practically unheard of today. In fact, there was only one game finished in under two hours in 2017. Halladay was a part of six games which took under two hours to finish, but during the famous Halladay/Buehrle start in less than two hours, Halladay did not actually go the distance, “only” throwing seven innings. He had five … yes, five complete games during his career finished in under two hours. Thanks to the beauty of Baseball Reference’s Play Index, we can go back and look at all the “Halladays” from Roy’s career. This is by far the most memorable “Halladay” on the list. This was his second career start in the big leagues when Doc came within one out away from recording a no-hitter. Despite giving up a home run to Bobby Higginson to the penultimate batter he would face, Halladay still finished the game in an hour-and-three-quarters. On October 5th 2001, the Toronto Blue Jays and Cleveland Indians embarked on a double header, with the first game starting at 5:09pm local time. Halladay worked so quickly that the second game of the double header started at 7:37pm local time. The two clubs completed two games in the span of five hours and 12 minutes; also known as the span of one regular season game between the Red Sox and Yankees. This was the most efficient start of Halladay’s career. He only required 83 pitches to dispose of the Indians; the fewest number of pitches he threw during a complete game during his entire 16-year career. In mid-May of 2005, Halladay and Zack Greinke squared off as both starters went the distance in this game. It was a classic Halladay start as he collected 16 ground ball outs against the Royals. 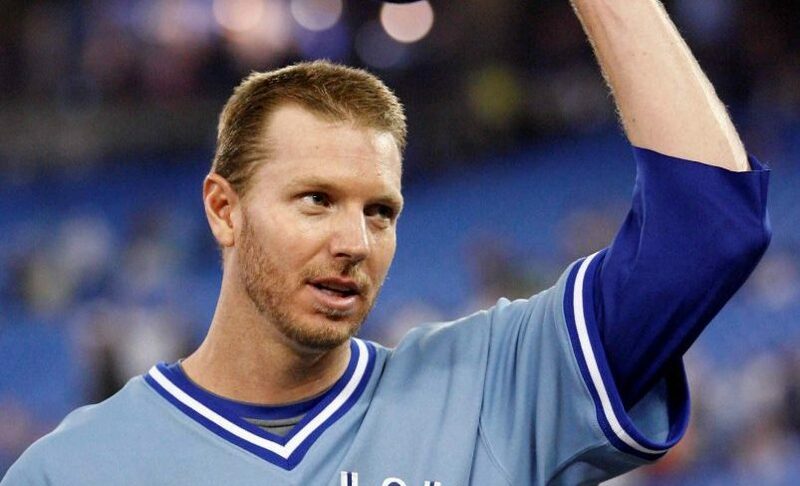 Despite giving up eight hits total, Halladay still managed to finish the game in under two hours during a Tuesday night start at the Rogers Centre. To put that in context for the year 2005: Roy Halladay finished that game in less time than it took to watch Star Wars Episode 3 from start to finish. Halladay surrendered zero walks as he finished the shortest complete game of his career: one hour and 44 minutes. Nearly one year later, carved up the Los Angeles Angels so quickly, that they barely knew what hit them. In one hour and 59 minutes, Halladay took care of the Angels in an extremely brisk fashion. The first pitch flew at 7:06pm that night and Halladay sent everybody home by 9:04pm. Again, another quintessential Halladay start: 15 ground ball outs, 12 fly ball outs en route to dominant complete game effort against the LA Angels. Quite interestingly, the man who opposed Halladay that day? Joe Saunders; the very same pitcher the Blue Jays were rumoured to be seeking in a deal for Halladay at the trade deadline the following year. For whatever reason, that deal with the Angels fell through. Once again, Doc did what he did best; pitched to contact, threw less than 100 pitches and probably barely broke a sweat in the process.